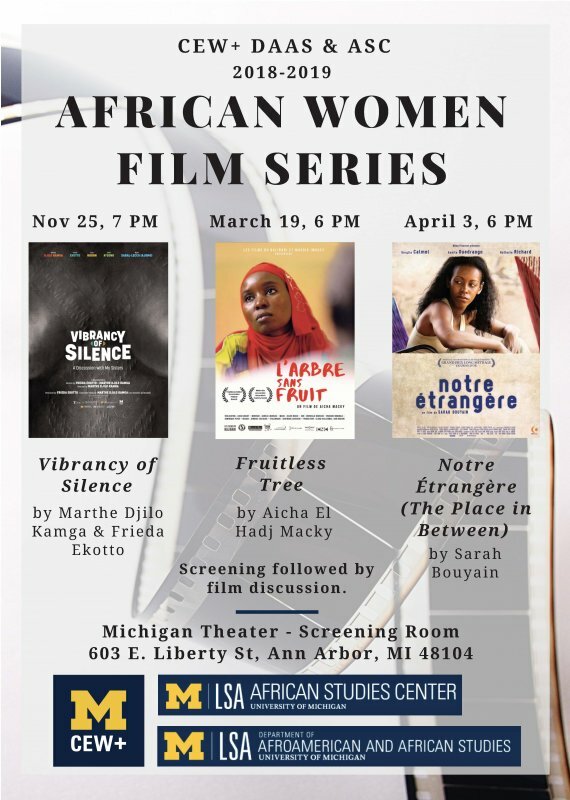 The University of Michigan’s CEW+, Department of Afroamerican and African Studies, and African Studies Center are pleased to present the 2018-19 African Women Film Series. These exciting films celebrate women’s voices through rich, dynamic, and intimate visual portrayals. 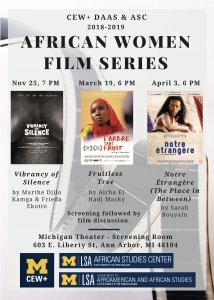 All films will screen in the Michigan Theater Screening Room at 603 E. Liberty St. Ann Arbor, MI 48104.